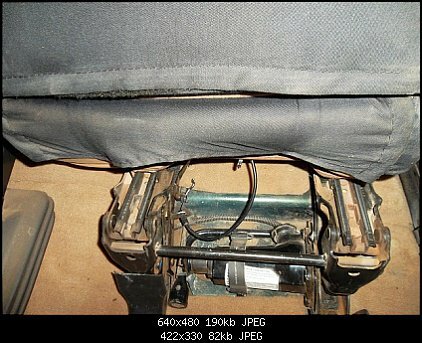 JeepForum.com > Models > Jeep Wrangler Forums > TJ Wrangler Technical Forum > How on earth do I store the jack under the hood? 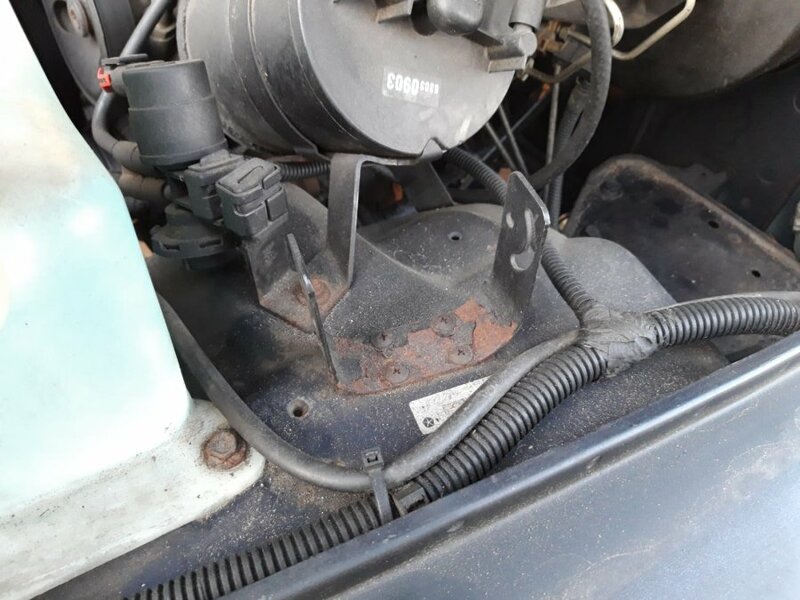 How on earth do I store the jack under the hood? When I bought my Jeep (97 TJ) the jack was laying in the back of the car. The seller couldn't tell me how to store it under the hood. I have all the items on the picture (source picture: Ebay). Im only missing the cloth cover. I included two pictures under the hood. Am i missing something? And why is there a huge empty tray under the hood? A link to a user manual would be great. It didn't come with my Jeep. I will post a picture of mine tomorrow. It doesn't mount under the hood. It is stored under the seat. Drivers side I think. The PO may have removed the hardware under the seat, if so, you will needed to buy replacement hardware or make something yourself. Think of this as a great moment for DIY. Actually found a pic online. Passenger side of Jeep. I don't remember where the longer bar goes but I will check. The long bars fasten down at the side of the passenger seat. There should be two straps there for that purpose, rignt underneath the door opening. Does anyone know the part number or a link to that short rubber strap that holds it down? Why do you need the rubber strap to hold it down? Extending the jack a little will hold it firmly in the mounting brackets. I see no results on google for either part number, but as TheWorldWideWeb says extending the jack a little will hold it in place. Yep, extended already and, secured with a little cord stretchy strap. If it came from TheWorldWideWeb it has to be true. That's all that is needed to hold the jack firmly in place. Thanks for all the help. I now stored it under the passenger seat! I am used to storing it under the hood like in my YJ. 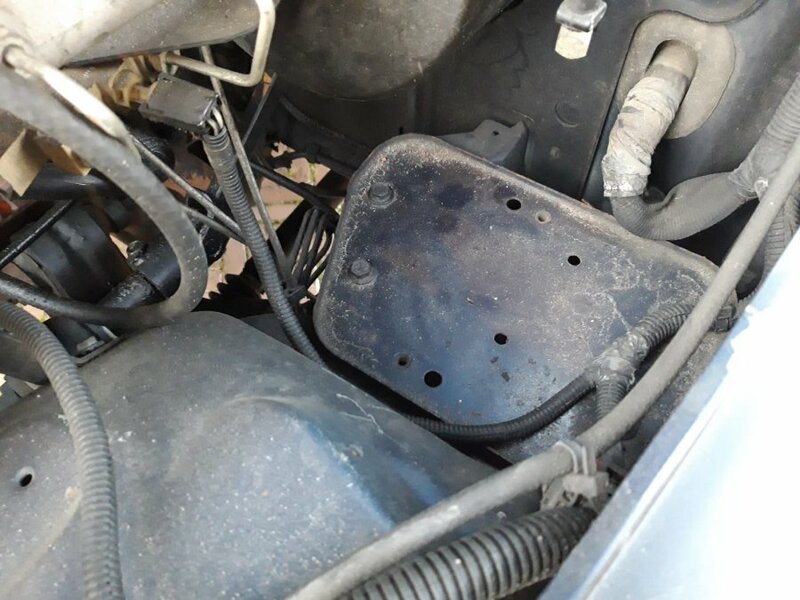 When I opened the hood I saw the empty bracket and guessed it should be placed there. Can anyone tell what should be on the empty bracket? And the empty tray as shown on the pictures? That tray can be used for a second battery or any auxiliary mod. Most of the time it is used for an air compressor mount. These are things that it can be used for but they are not what the OEM design was intended. OEM the ABS pump sits on that tray if equipped.